Motorola's product support web site says that both the Motorola DROID XYBOARD 10.1 and the Motorola DROID XYBOARD 8.2 tablets are getting ready to be updated to Android 4.1. Both slates are currently powered by Android 4.0 and with both selling rather sporadically since their launch way back on December 9th 2011, it was expected that Motorola and Verizon would let them die of natural causes. Instead, the update will add the smooth responsiveness and scrolling of Project Butter to the tablets. Google Now will also be part of the update. This feature brings you the information you need, when you need it. And Android 4.1 adds actionable notifications to the tablets, which allows you to reply to emails, view pictures or videos and delete them all straight from the notification shade. Despite the fact that both tablets are packing dual-core 1.2GHz TI OMAP 4430 processors and 1GB of RAM, each sports a low pixel density. The XYBOARD 8.2 brings a 1280 x 800 resolution to an 8.2 inch LCD screen for a pixel density of 184ppi. The XYBOARD 10.1 has the same resolution, but on a larger screen which reduces its pixel density to 149ppi. The display on both tablets is made from Gorilla Glass and both tablets offer Motorola's Splash Guard which protects them from spills or from light rain, even covering the electrical components inside the slabs. They are not waterproof though, so do not try to submerge them in the wet stuff. Motorola's site did not mention when the update will be coming to both tablets, but we would imagine that it won't be too long considering that the wholly owned Google subsidiary is already spreading the word. Moto has a history of shafting users with upgrades. I don't think it's fair to users. Man took 2 yrs for update? Now with their low end x phone. Clearly, math isn't your strong suit. They came out in December of 2011. That's not 2 years, it's 1.5 years. Also, these tabs started out on Honeycomb, so this will be their second major update. In other words, you're completely wrong. even i'll admit though that it's taking way too long for these to get updated considering how small Moto's Tablet Portfolio is. they should've been updated early this year. it's a shame really. the Xyboard 8.2 is my favorite Tablet to date. I don't disagree with you on that. Doesn't make his statements any less wrong, though. i wasn't trying to make you seem any less right either. Google really needs to update their Motorola devices, its insane that they treat a company that they own like trash. Although that really doesn't surprise me as Google really bought it for their patent portfolio to defend Android. 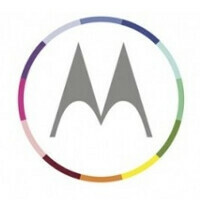 I wouldn't be surprised if Google just guts the rest of Motorola for what they want and sell off whatever assets remain.